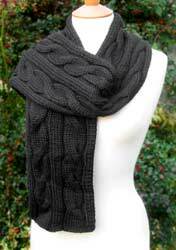 Angel Yarns reviews ranges of Specialty Knitting Yarns as well as knitting books, knitting needles and designer patterns. We are discontinuing many of our Rowan yarn, Jaeger, RYC and Trendsetter yarns amongst others so act fast before you miss out on the clearance of these luxury yarns. Or try out our new yarns from Tess Dawson, affordable luxury. Our range of Noro has increased and we keep on adding more and more Opal Sock Yarn, (see the New Limited Edition Opal Rainforest 3) the fantastic sock wool from Germany and perfect for all you sock knitters. Keep an eye out for the new range of Regia Sock Yarn too, it's now here - a sock knitters paradise! If you are looking to buy soft wools or crochet and knitting yarns then you can't go wrong with the fabulous range from Debbie Bliss - particularly the wonderful new Debbie Bliss Silks and fabulous Debbie Bliss Cotton Angora. We are famous for our kits with free crochet patterns to our own exclusive designs, we also have the largest range of Addi Turbo Knitting Needles, also known as Addi Turbos. Now also in stock, Sirdar yarns and a fantastic range from Bergere de Fance, the wool shop is getting bigger and bigger! Available now at Angel Yarns... Fiddlesticks, Feza, Makalu, the absolutely gorgeous Sublime and the affordable luxury that is Tess Dawson - put them all in your Jordana Paige knitting bag or a truly funky OiOi bag! We are always on the lookout for great knitting patterns, knitting needles, crochet hooks and all sorts of other useful knitting supplies. 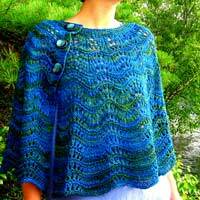 We also provide some free knitting patterns and beginner knitting kits too. Please take a look through our discount yarn store list as well, it's mostly discount Rowan yarn at the wool shop. To add that personal touch to your beautiful knitted handiwork we have a fantastic range of Handmade Ceramic Buttons and our own famous hand made stitch markers. If your interest lies with needlepoint (embroidery) then our Beth Russell Needlepoint Kits are definitely for you. Truly wonderful exquisite designs from frogs to lions in everything from seat covers to rugs to bell-pulls. Our Knitting Forums have gone from strength to strength with over 2000 members and nearly 180,000(!) posts, so whatever it's about we would really appreciate it if you could take some time to join in. If it's just to say hello, pass on some free knitting patterns or put the world to rights, come and join in the knitting forums - it's the friendliest place you'll find. If you are new to knitting we have added Simple Knitting Instructions to the store's site to show you how to knit and (we hope) help you become more accomplished knitters. Your Online Shop for all your knitting wool needs, particularly English yarns suppliers like Debbie Bliss, Jaeger, Colinette and Rowan yarns and Italian suppliers like Adriafil.